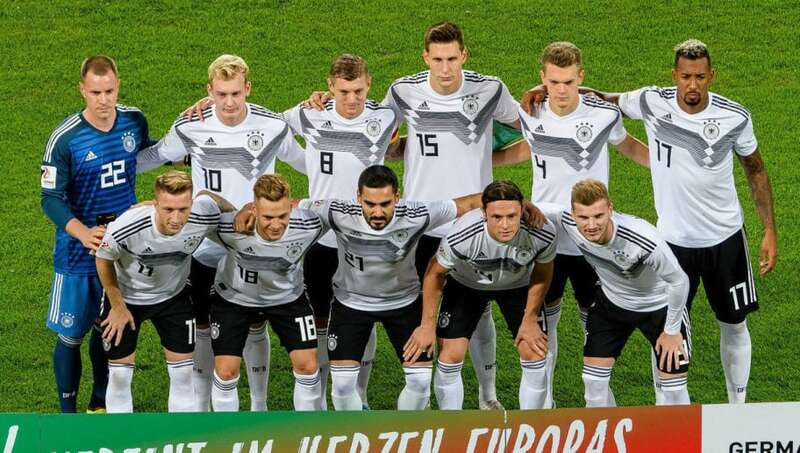 ​Germany have named their 23-man squad for the October internationals, with the 2014 World Cup winners set to face Netherlands and France in back-to-back UEFA Nations League games. Injury has forced Borussia Dortmund star Marco Reus out of contention, while Manchester City midfielder Ilkay Gundogan and Chelsea defender Antonio Rudiger also miss out. There are returns for Juventus midfielder Emre Can and Koln full-back Jonas Hector, as well as a first call-up for 27-year-old uncapped Schalke striker Mark Uth. Germany kicked off their UEFA Nations League campaign with a 0-0 draw with reigning world champions France in Munich last month. France are currently top of the group after also beating Netherlands last month. Whoever finishes top of the three-team table will progress to the Nations League finals in June, while the bottom country will be relegated to League B for the next cycle.